We might advocate sensible, investment pieces that will serve your wardrobe for years, if not decades, but sometimes we all want to buy something a little, well, silly. This week's Microtrend Monday is about as silly as it gets, as we have noticed that lobsters are a new recurring theme in fashion. Now as well as having lobsters in your macaroni cheese and in a roll, you can wear them in your ears, on your feet and over your handbag. Seafood might be an unlikely source of style inspiration, however, you'll find lobster-themed accessories at Kate Spade, Topshop, Kurt Geiger and more. Style Notes: Alex Stedman from The Frugality wears a pair of backless slippers from Kurt Geiger with a vibrant red lobster across the front. Style Notes: Leandra Medine's ceramic lobster earrings are even better than a lobster roll. 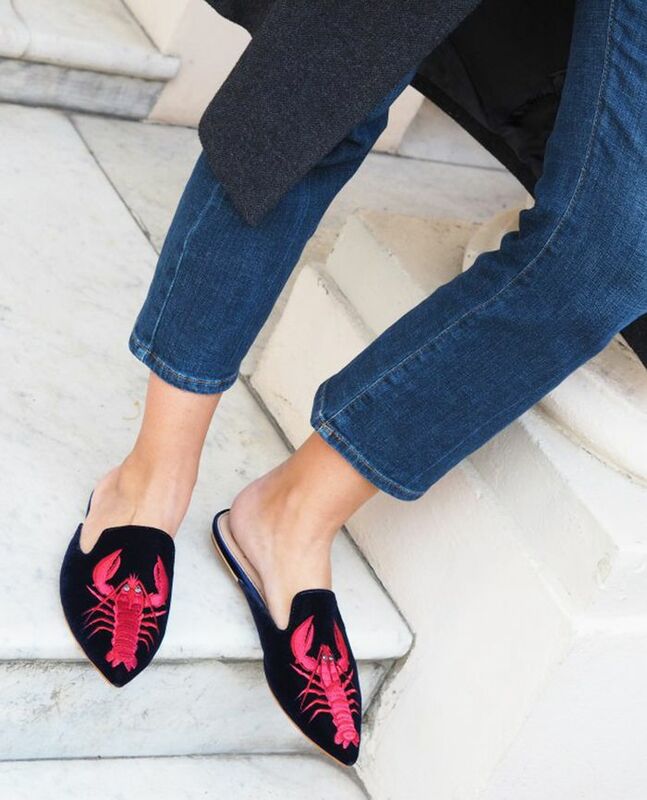 Style Notes: Leandra is clearly into lobsters, as she has put the shellfish on her stilettos for her latest MR by Man Repeller shoe collection. These backless loafers are bonkers, but we love them for it. Now we just need a holiday. Anyone else suddenly craving some lobster?